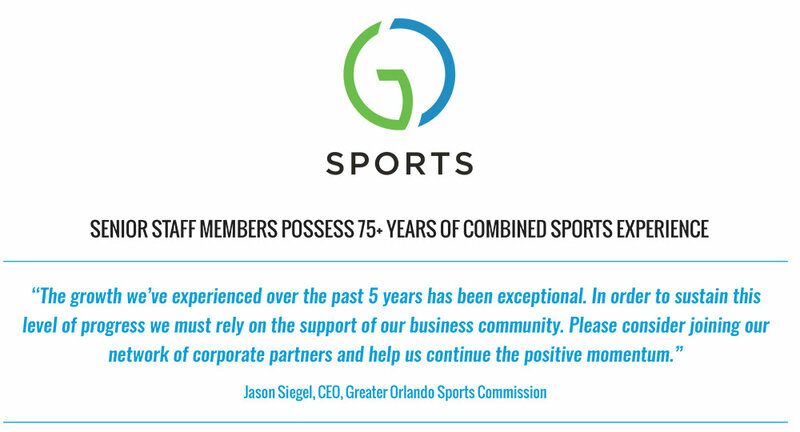 The Greater Orlando Sports Commission (GO Sports!) 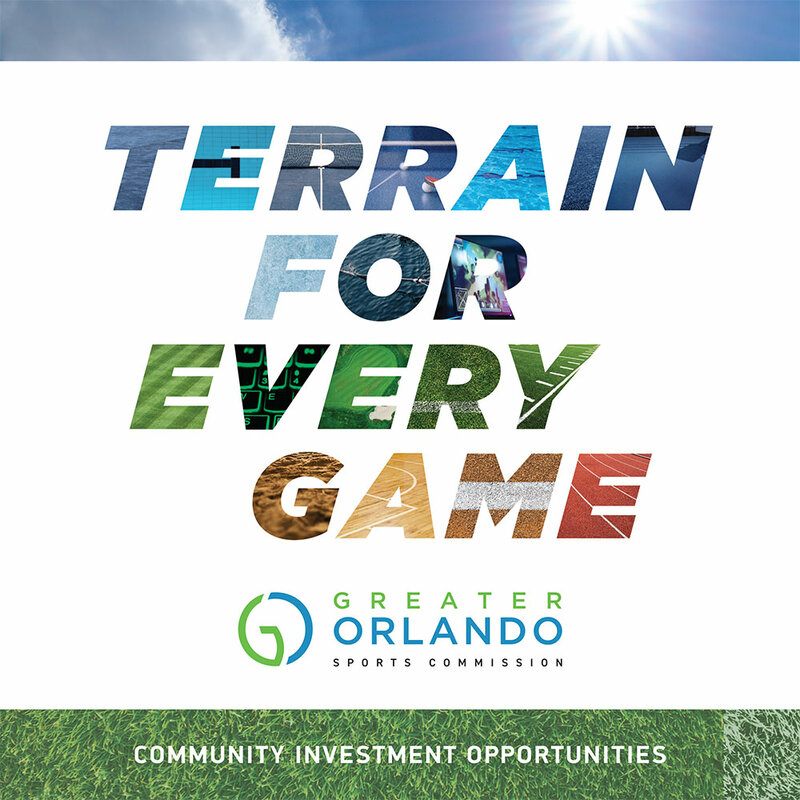 is a private, non-profit organization that plays a vital role in attracting and managing sports-related events, conferences and activities that drive economic development in the City of Orlando, Orange County, Seminole County, Osceola County and Lake County. Those events have included many of the top international and national youth, NCAA, Olympic and professional sporting events. Central Florida is the world’s vacation destination with 72 million visitors from every corner of the world. Hosting is a common thread that connects our community: government and tourism officials, visitors’ bureaus, corporate partners, media outlets, theme parks, hoteliers, marketing and event planners, a vast array of hospitality providers and an extensive network of volunteers. Founded in 1993, GO Sports! 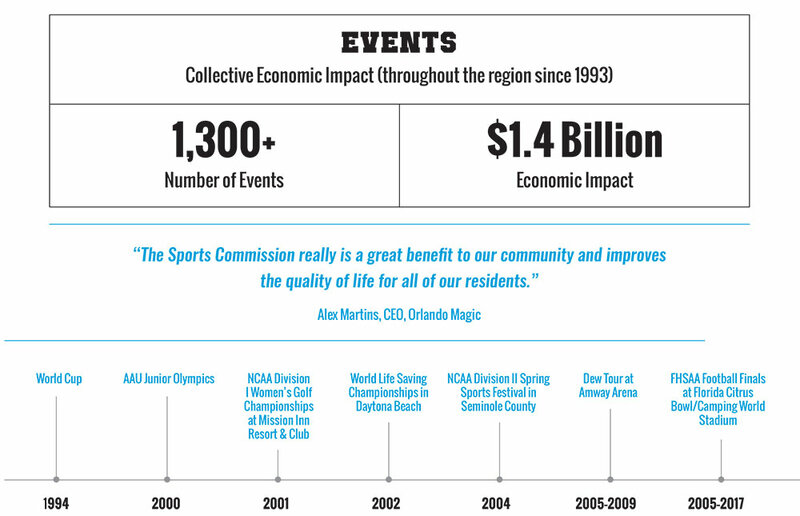 has hosted or co-hosted more than 1,300 events in Central Florida with a total economic impact exceeding $1.4 billion in spending within our community. GO Sports! is supported by a tremendous network of people — One Team — united around one common goal: forging epic athlete and fan experiences. 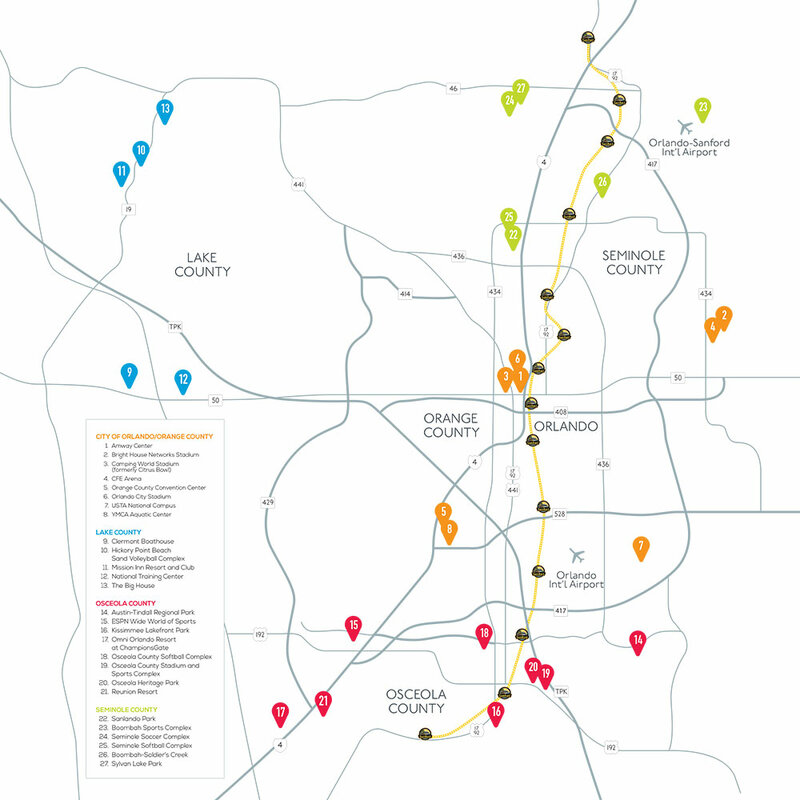 events and businesses that enhance our community’s economy.